I really appreciate the comments on my last post about the issue with my son’s friend. After talking to Carlos we have decided that it’s obviously best not to have Dave over anymore. I have not spoken to Dave’s parents nor do I plan to. My son goes to a very small school. He has a total of 26 kids in his 1st grade class and only 13 in his actual classroom. I know I seem like I have no backbone, but I don’t want to create animosity between myself and other families at school. I can keep Carlos away from Dave outside of school. If there are issues that occur in school then my husband and I will handle it appropriately at that time. On a different note, I wanted to share some things I’ve been enjoying lately. This isn’t quite what you think of when it comes to guilty pleasures, but it’s become a favorite gadget. I have had this headset for a while now. I love it. It allows me to listen to music while I’m running, movies and podcasts while I’m cooking in the kitchen or cleaning around the house. I can answer the phone, change the song or pause what I’m listening to with the touch of a button on the headset. I typically hate earbuds, but these stay put accept when I have an exceptionally sweaty workout then they slip out at times. The buds are also very easy to clean as well. I find the sound quality to be acceptable for my purposes, but I’m no expert on the subject. When I use the headset to talk on the phone I’ve been told it sounds a bit like I’m in a tin can. Oh well you can’t have everything! I’m cold All The Time! My Mom got me a set of the Cuddlduds Fleecewear and they are the best. They are soft, warm and cozy. I wear them to the skating rink on Sundays for Carlos’ skating practice. I wore them skiing. I wear the top to bed often. I will probably get more next winter if I’m still living in the godforsaken north. *I do not look nearly as cute as the model, but I am smiling when I wear my Cuddlduds!! I don’t watch television. In fact I rarely even go in my living room. It’s pretty much a man cave! I’m ok with it. I gave up on television in nursing school. However, from time to time I throw something on Netflix while I’m cooking or cleaning. 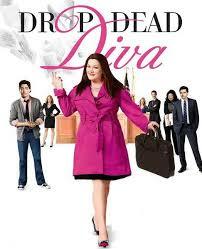 Over the last year I’ve watched the first 4 seasons of the Lifetime show Drop Dead Diva. It’s about a lawyer, Jane, whose body becomes inhabited by the soul of a fashion model. It’s not mind blowing or intellectual. It’s a fun show and there are some really positive messages about body image. While waiting for the new season of Drop Dead Diva, I discovered Scandal (thank you Amelia!!). The show features Kerry Washington as Olivia Pope, a Washington D.C. political/legal crisis manager aka a “fixer” of all problems. I actually just read an article in the Miami Herald about the woman who inspired the show, former deputy press secretary to President George H.W. Bush. Can I just say, Kerry Washington is one stunningly beautiful woman. The show is gripping, smart and well…scandalous! My running playlist needs a major revamp, but here are some of the new tunes I’ve added recently. What are you listening to? 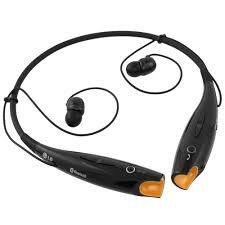 I love to run to music that is really upbeat and fast tempo. This brings me back to the Love Your Body Challenge. I’m moving through it very slowly, but I’ve found that as I write about these topics I am looking at myself and my body in a new light. Reason #7 To Love Your Body 7. OK at first I wasn’t going to address this here on the blog. Then I got to thinking about what it really means to have the ability to experience pleasure. As a nurse I am witness to so many people who are unable to experience pleasure. I am so very lucky and grateful to be healthy, mobile and have the ability to use all of my senses. 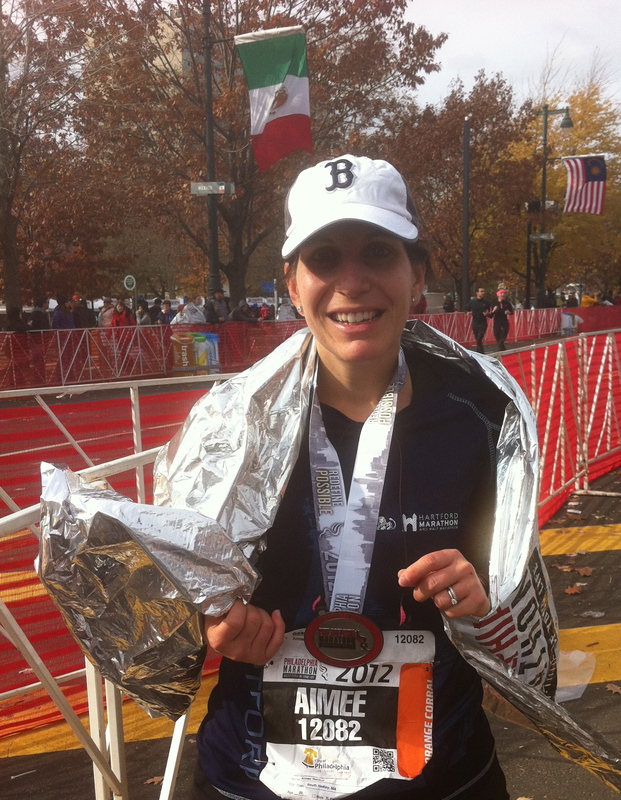 I am so blessed to have the use of my legs to experience the pleasure that comes from running and exercising. Though I joke sometimes that it might be better for my weight if I had no taste buds, I am grateful for the pleasure that comes from the ability to taste delicious healthful food. Nothing pleases more than a giant hug and snuggles from my son. I feel safe inside the warmth of my husband’s arms. I close my eyes and savor a head massage each time I go to the hair salon. I love the feeling I get on a cool day when the sun’s heat touches my skin. It pleases my eyes when I am treated to a scenic landscape on a hike, a drive or while exploring a new place. The pleasure of scent is taken for granted all too often, but how pleasing to smell the blooms of spring, the crisp fall air, the spicy scents of Thanksgiving, the fresh pine smell of Christmas trees, sheets hung out to dry, my husband’s cologne, and my son all squeaky clean after a bath. My ears perk up when they hear my son’s voice after a long night at work or first thing in the morning. I enjoy the sound of my favorite music, the birds chirping outside right now, babies giggling and waterfalls rushing downstream and the quiet calm of nature on a hike. This activity reminds me of how often I take the simple things for granted. Life moves so quickly. It’s important to remind myself of all I have to be grateful for and to stop and appreciate it. I agree…when I SLOW DOWN, I’m amazed at how all the simple things can give me pleasure…I think it is only when I start comparing…then things go wrong. But the taste of good food, the sounds of those who love us, the sights in nature that are miraculous, the scents that can recall so many memories, the touches that let me know that I’m loved and that I love others….THESE are truly what make life beautiful. Thanks for an enlightening post. p.s. I’m glad you’ve cut Dave out of Carlos’ home play…I think you made the right decision, as tough as it was. I loved this post Aimee. It seems lately all I am doing is going through the motions – wake up, blog, go to work, sometimes go to other work, come home make, dinner, clean up, clean the bathroom – for some reason I think they only day I can slow down is Sunday, but then I think of all the things I SHOULD be doing, and feel guilty on having a lazy day. Hopefully I’ll find a balance soon! Hugs! You too Biz! I wish this darn winter would end! !